Israel and Italy share a strong attitude towards innovation. 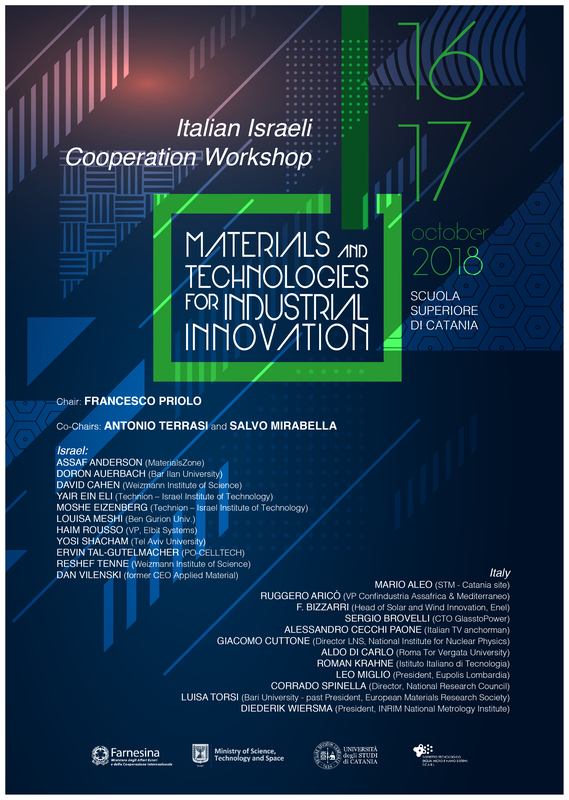 This bilateral workshop - organised within the framework of the cooperation agreement on industrial, scientific and technological research signed by the Italian Ministry for Foreign Affairs (MAECI) and the Israeli Ministry for Science and Technology (MOST) - will gather together key players from industry, research centres and academia coming from the two countries and acting in the field of materials and related technologies. The aim is to present best practices in the exploitation of research results, in the creation of start ups and in the industry-university interaction within the strategic field of novel materials. The workshop will consist of invited oral presentations but time will be kept for round tables, ample discussion and interaction. We expect to stimulate collaboration among partners from the two countries in a win-win scenario.